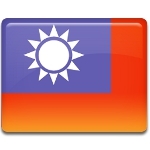 On January 1 the citizens of Taiwan celebrate National Day of the Republic of China. This holiday commemorates the Wuchang Uprising in 1911 that led to the collapse of the Qing Dynasty on 1 January, 1912. In 1895 Taiwan was under the Japanese rule, but on 10 October, 1911 began the Wuchang Uprising in China. This uprising was aimed to collapse the Qing Dynasty in China, but this movement pushed people in Taiwan to their own uprisings. Some of them were aimed to reunite with China while others aimed to gain independence. The result of this uprising was the creation of the Republic of China (ROC) in Nanjing by Sun Yat-sen. He was the first president and the founder of ROC. National Day of the Republic of China is celebrated in Taiwan, though some oversees Chinese also do it. The raising of the flag of ROC in front of the Presidential Building opens the official celebration, after that follows the singing of the national anthem. In the past the celebration was marked by the military parade, which still occurs from time to time. But the most interesting part of the celebration is the traditional parade, that includes the aspects of the Chinese or/and Taiwanese culture, such as drum teams and lion dance.